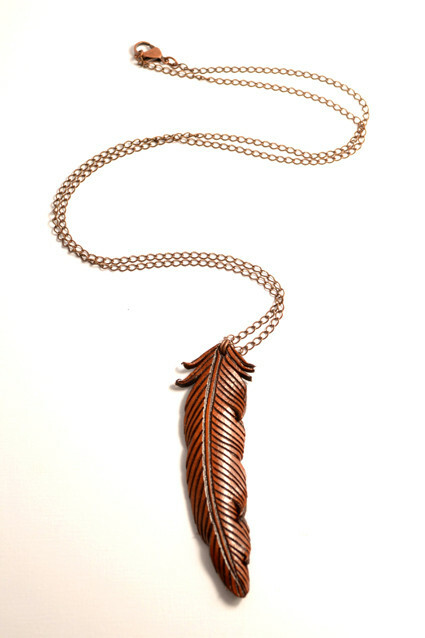 The Feather Pendant is a cute accessory to compliment any outfit. It has been carved out of vegetable-tanned natural russet leather, dyed and sealed. 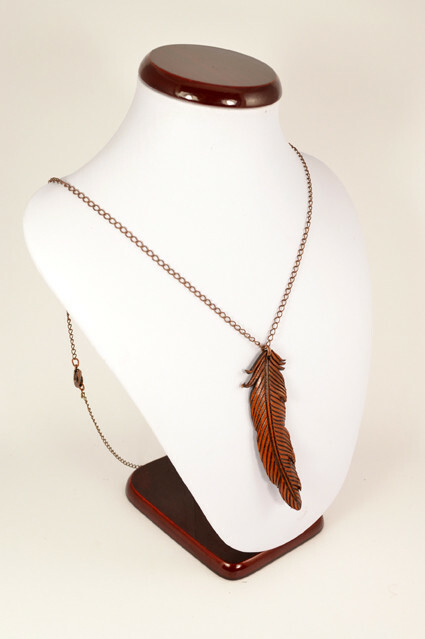 The Feather Pendant is available on either an elegant stainless steel neck wire, which is available in a range of sizes 16-inch, 18-inch and 20-inch, or a 30-inch opera length antique copper chain with a parrot clasp. 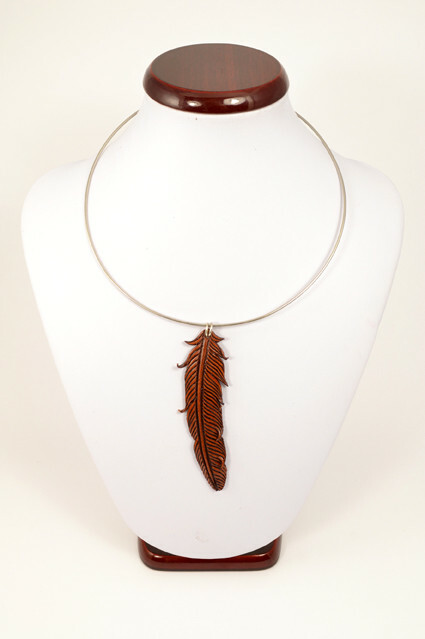 As each feather is hand made, you end up with a 'one of a kind necklace'. 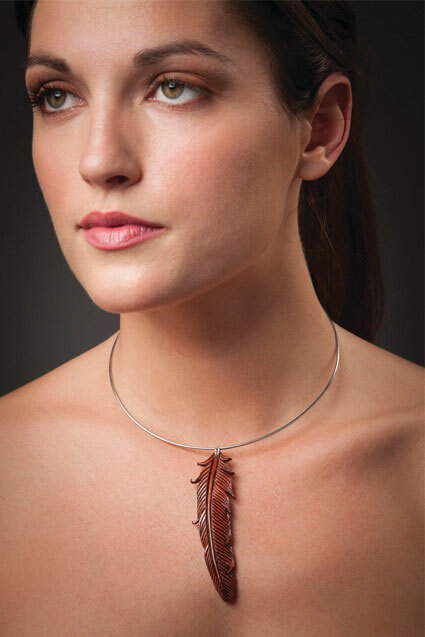 Note: each feather may vary slightly from the photograph seen on this website.